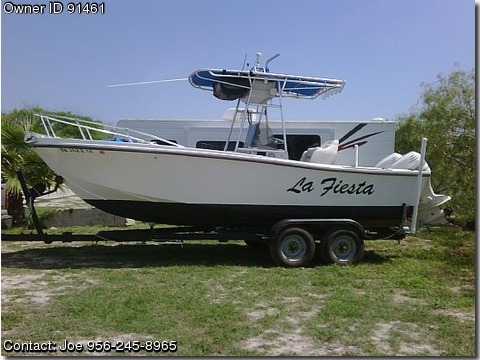 Call owner Joe @ 956-245-8965. Live well, two fish boxes,outriggers, downriggers, 600ft anchor rope, six perservers,anchor system. Engine as 2001 model with only 400 hours, excellent condition. basicc fishfinder and seoerate GPS. All coast guard equipment - boat is deep V and ready to fishing.